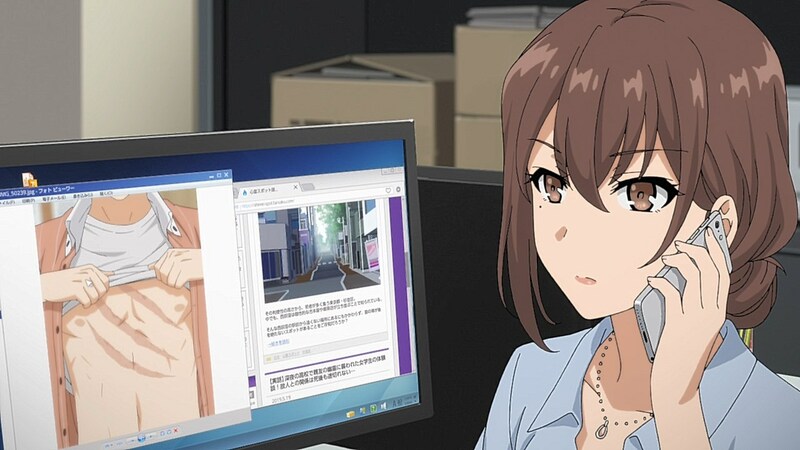 The second episode of Seishun Buta Yarou continues to establish the tone of the series as Sakuta becomes further invested in Mai’s personal life, trying to crack the code behind how the Puberty Syndrome is affecting her life. 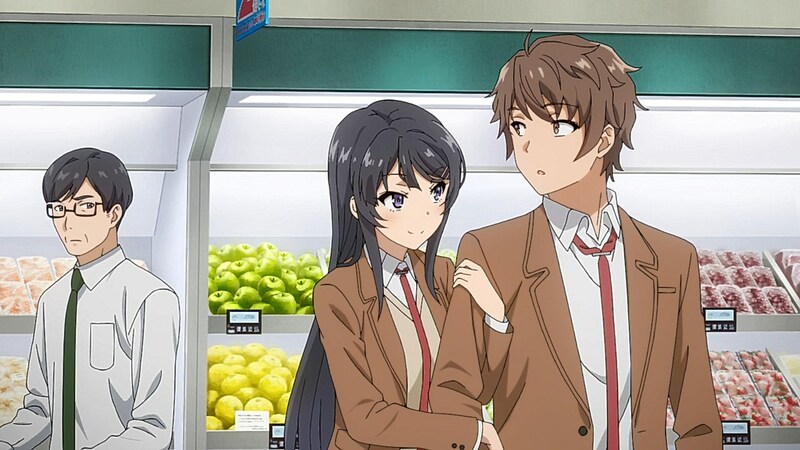 In the process of trying to find anyone in the world that can remember who Mai is as her syndrome-based disappearance intensifies, Sakuta and Mai find themselves gravitated towards each other. With the chemistry that is brought out through their dialogue and behavior with one another, they find more common ground than they would have thought thanks to their connection through their interactions with the syndrome. 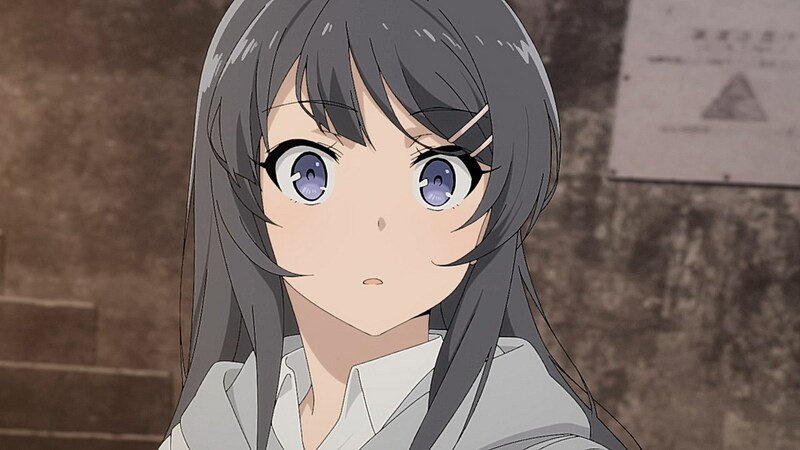 It’s at this point where the story embraces some of the strongest points of Bakemonogatari‘s first arc, Hitagi Crab with how Sakuta and Mai are able to reach a level of understanding about what they see in each other, how they feel about each other, and how they want to help each other. 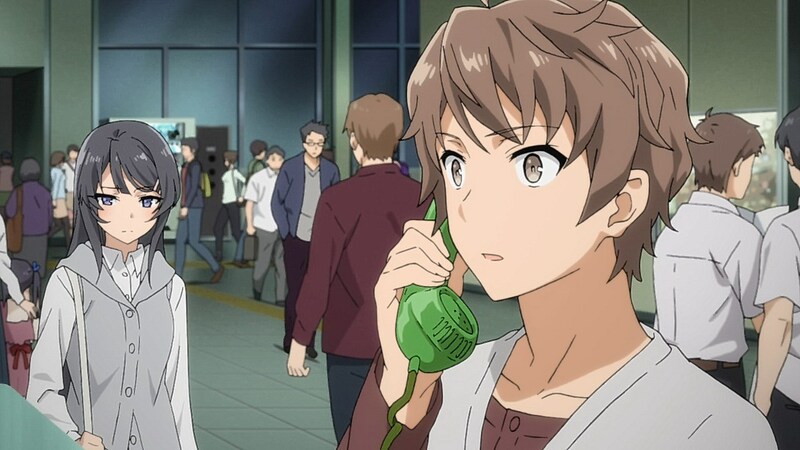 Where Sakuta and Mai can have ping pong-esque dialogue where they lobby jokes back and forth at each other and have a fun time getting snarky while they learn about themselves. 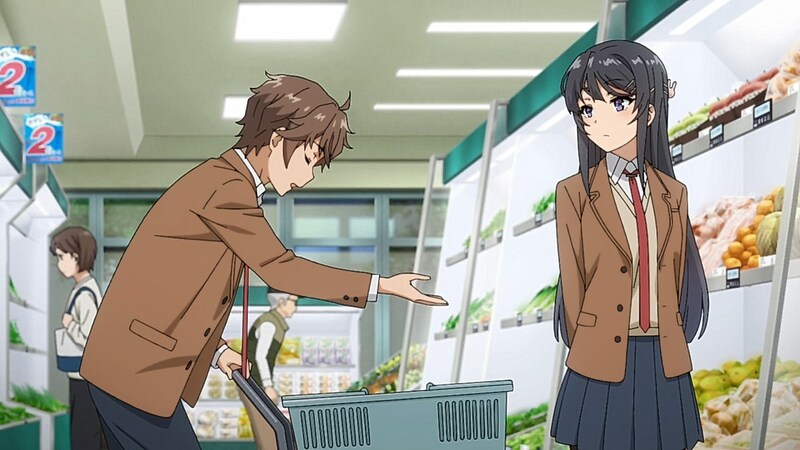 Some of the best moments were with how their dynamic played off in funniest scenarios like Sakuta trying to test if Mai can make him disappear by holding hands or the push Mai does to try to get Sakuta out of the room before a shower. 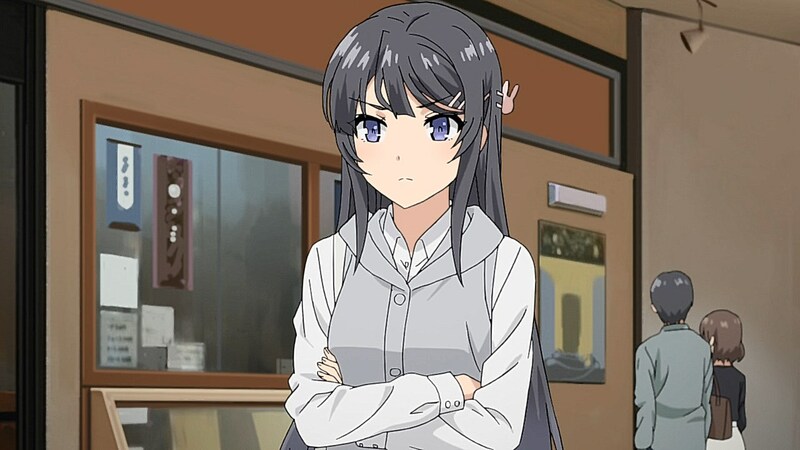 And yet, there is enough respect in their relationship to get to the core of knowing how one another feels about a helpless circumstance like Mai’s non-existence to most of the population. 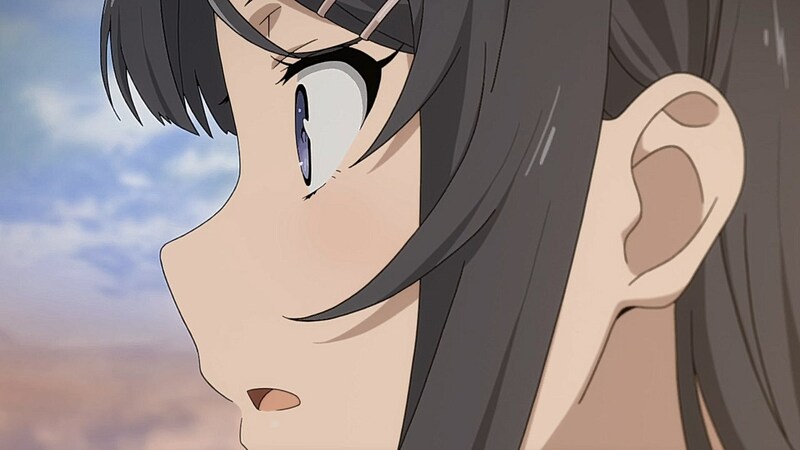 Her dilemma would be hard for anyone to digest, but the series takes on the real fears that Mai has with regards to who is forgetting her and if she would eventually be forgotten by Sakuta. 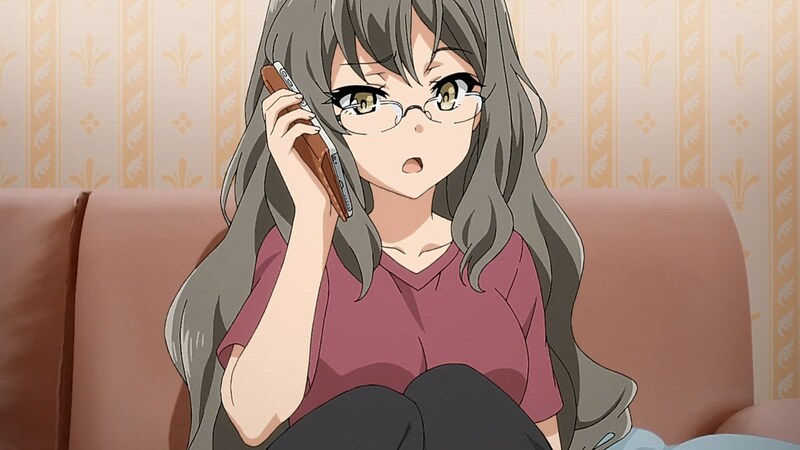 The Puberty Syndrome took its most severe turn with her when her initiative to tell her mom to her face that she is going to act under a different agency backfires as her memory of her daughter vanishes and she assumes she was called out by Sakuta as a prank. 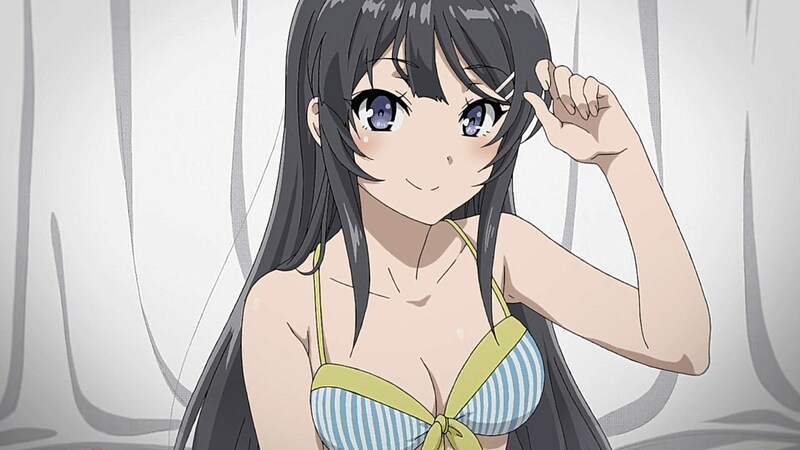 Even after agreeing to go back into showbiz, despite being angry at Sakuta for unearthing her resentment over her mom making her do a bikini photo op, Mai still finds herself in the middle of her Puberty Syndrome issues. 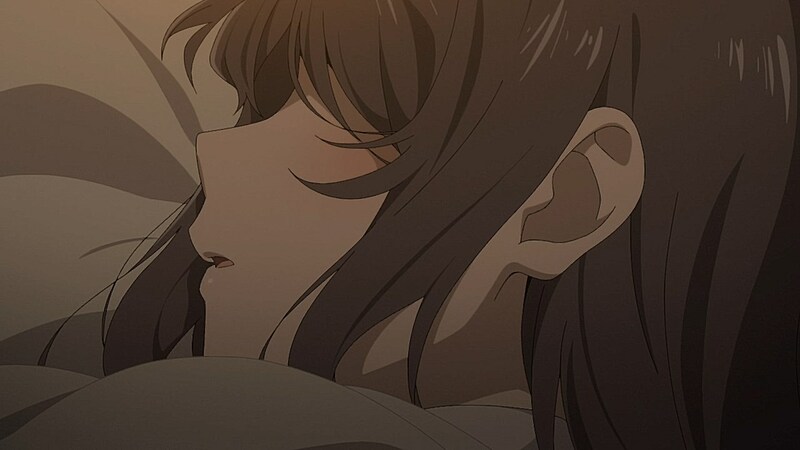 Regardless of the lighter-hearted moments, the tension of Mai’s situation is encompassed throughout the episode and is punctuated by the time they sleep in bed together. 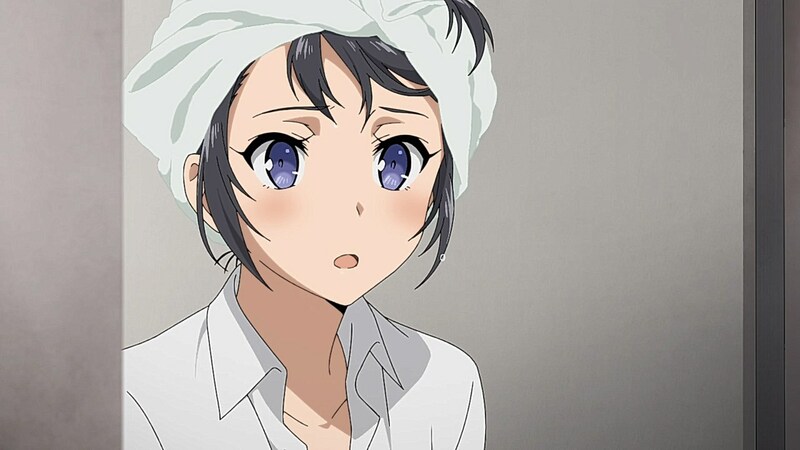 She mentions what her reaction to the possibility of Sakuta forgetting her would be like, but he is dedicated to trying to help her any way he can. 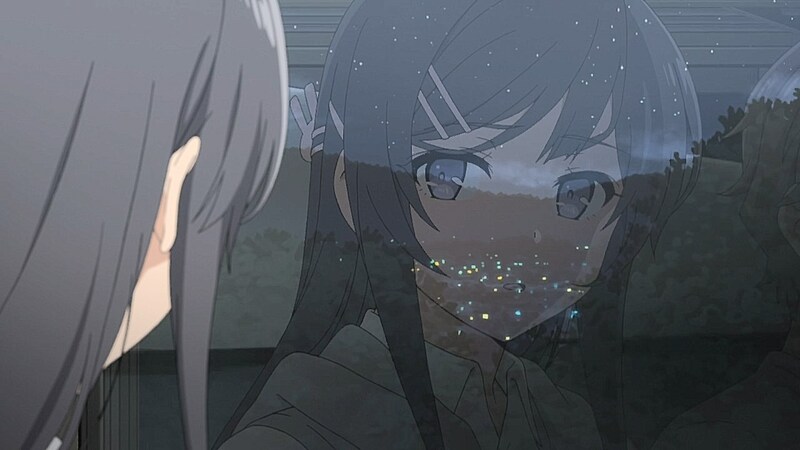 Although he missed his window for a kiss, it was his feeling of loneliness that he received from the syndrome and his estranged mother that drove him to want to be a part of Mai’s journey to figure out what is going on with her. The side characters are also pivotal to the second episode as well with the role they play in the narrative. 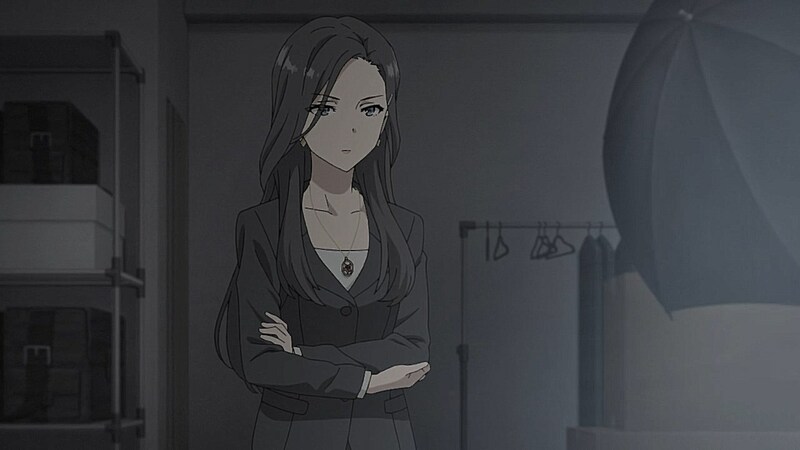 Kunimi being the one to bring it all into perspective as the one person who remembers who Mai was is an interesting development and can lead into giving a more concrete answer as to how the Puberty Syndrome functions. 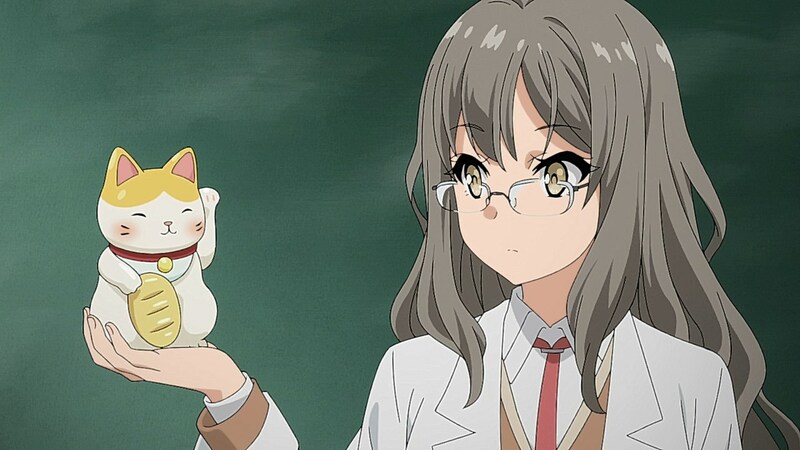 Likewise, Futaba’s input has enough basis going off of it to give Sakuta a general direction of what he should be looking into with the context of similar phenomena such as Schrodinger’s cat. 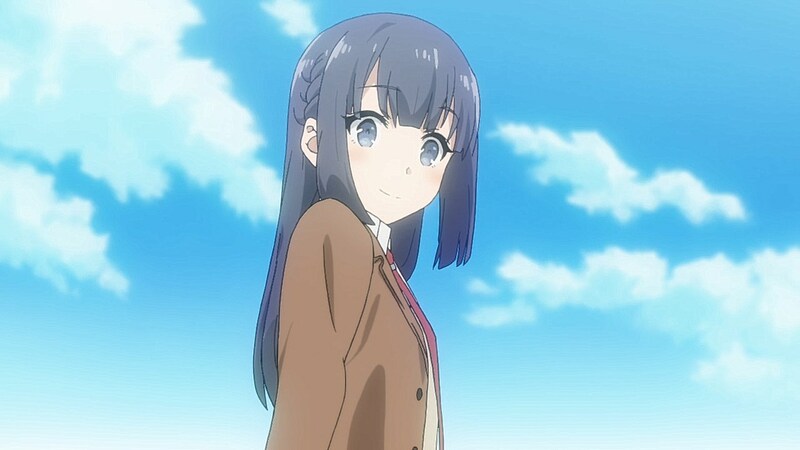 Shouko being introduced early on is also a nice treat as it gives us further context of who she is, why students in the first episode only vaguely knew of her, and the significance she had on Sakuta. 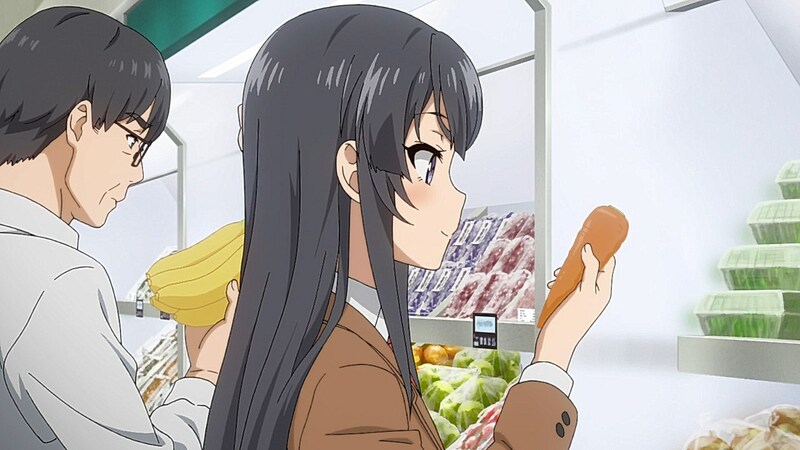 As for our newest character, Koga Tomoe, her scene provided some laughs with how she wanted to get kicked in retaliation right when a police officer passed by, but it does have me thinking about if they would eventually incorporate her into the Puberty Syndrome findings. 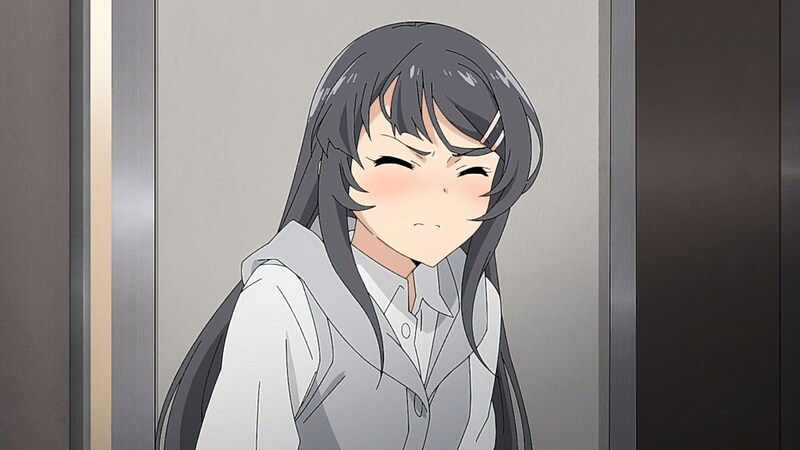 If Sakuta happens to keep attracting people in his life who happen to be enveloped by the syndrome, it’ll be neat to see if she gets enveloped in all of this. 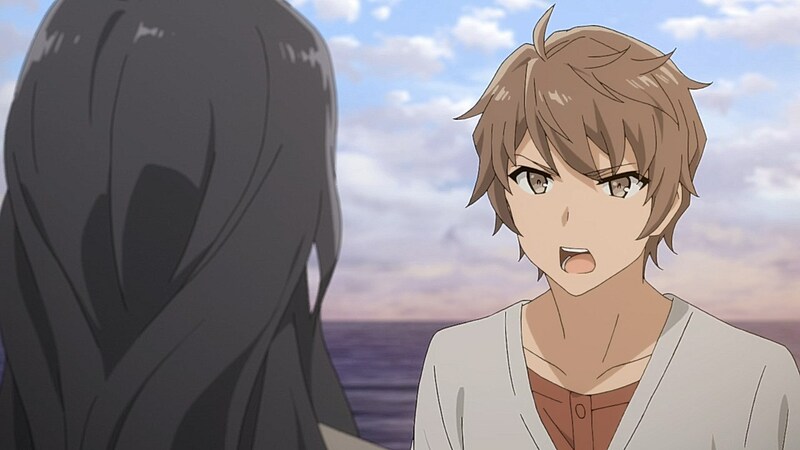 It’s great that Seishun Buta Yarou has been keeping up the pace in living up to the promise of a supernatural mystery that is down-to-earth, clever, and even a little romantic. 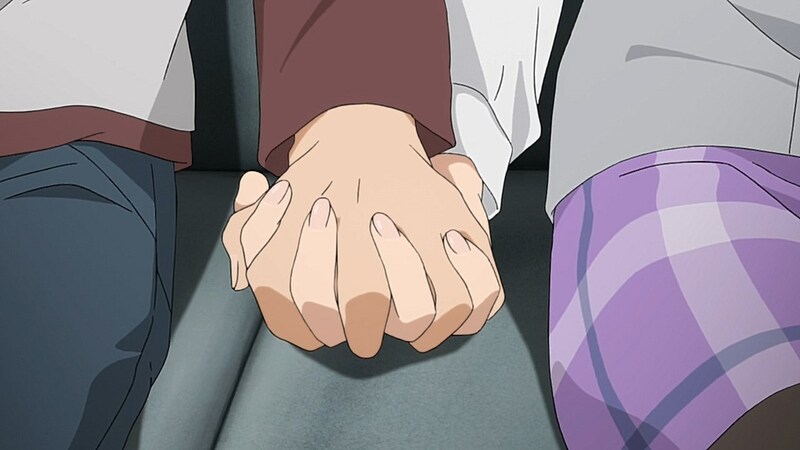 Although the material is racing through so many days that the status of their relationship feels deeper than it seems at first, it makes sense given how much they want to cover of the arc before Mai returns to acting. 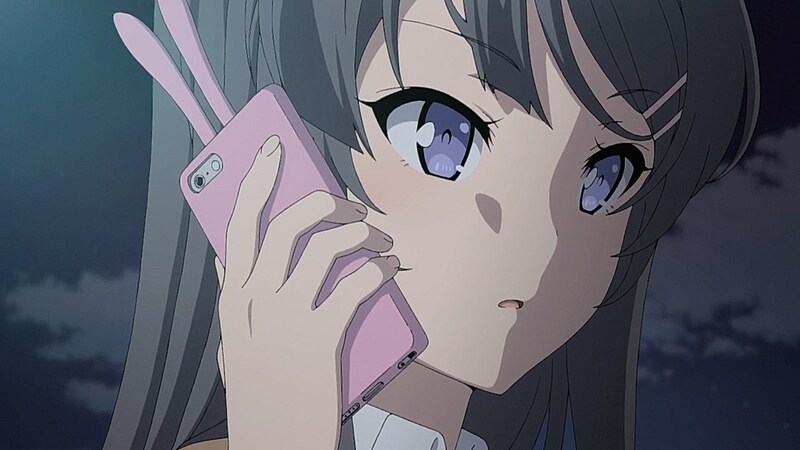 While I’m hoping that they don’t try to phase out Mai from the story if she does end up too busy acting to keep up with Sakuta, I’m curious about how the third episode will unfold now that he has a good lead on where to start with what circumstances have to take place in order for Mai to be seen again. 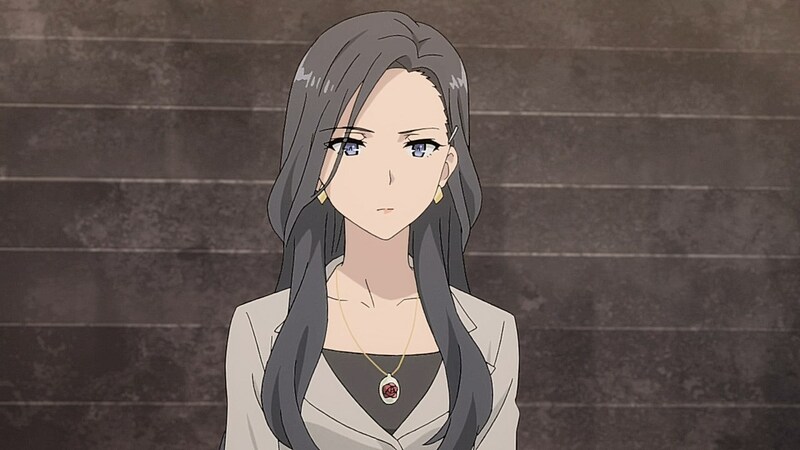 I feel like this is one case where the reveal of a significant event back in the first episode, like how people are forgetting Mai, would perhaps lessen its effect going forward. Though about everything from here on should be new, at least. 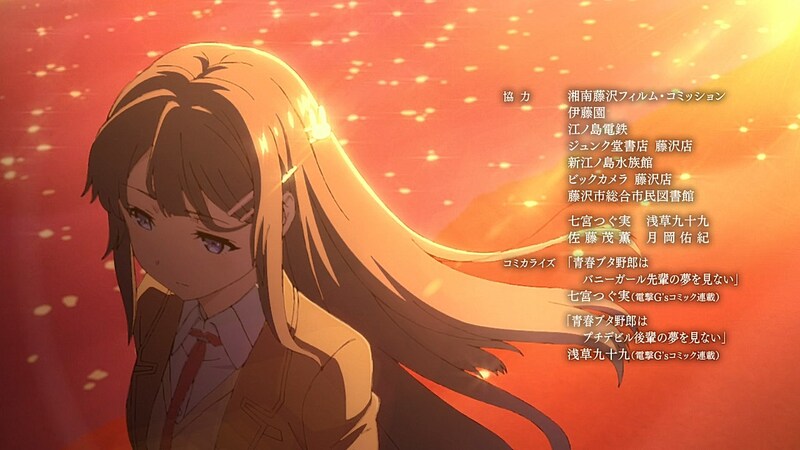 But as in the first episode, the interaction between Sakuta and Mai feels fresh. 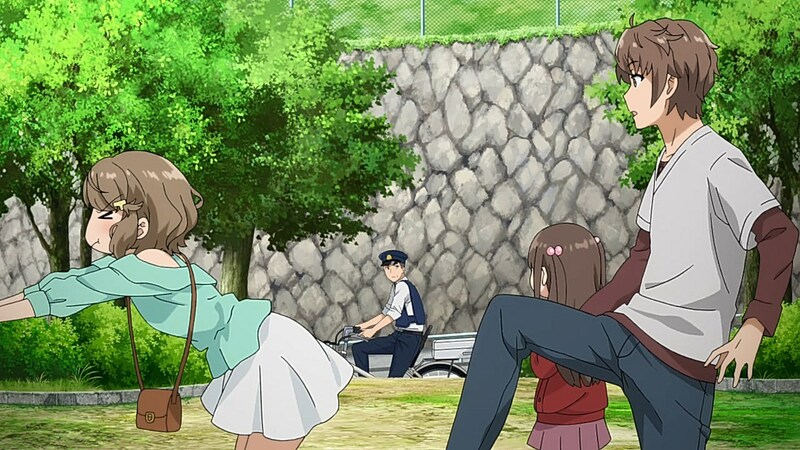 It’s one of the main attractions of this anime. 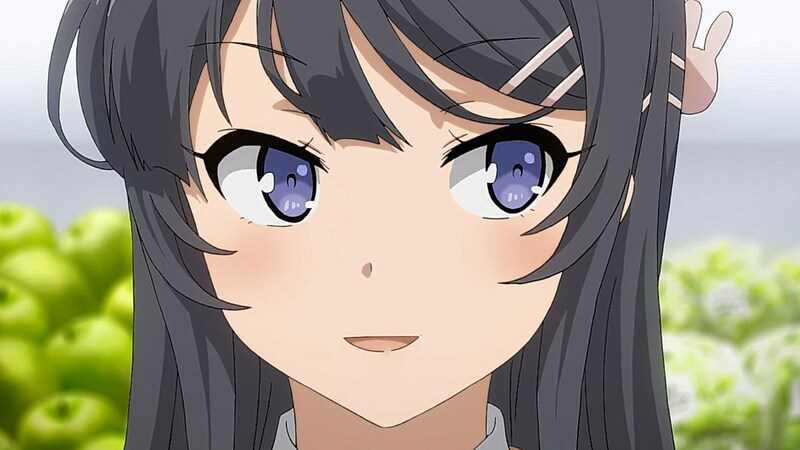 This may have the Bakemonogatari feel but Mai doesn’t have the weight of the various metals and spite in her words. Plus is it wrong for me to project the various Monogatari girls on them? 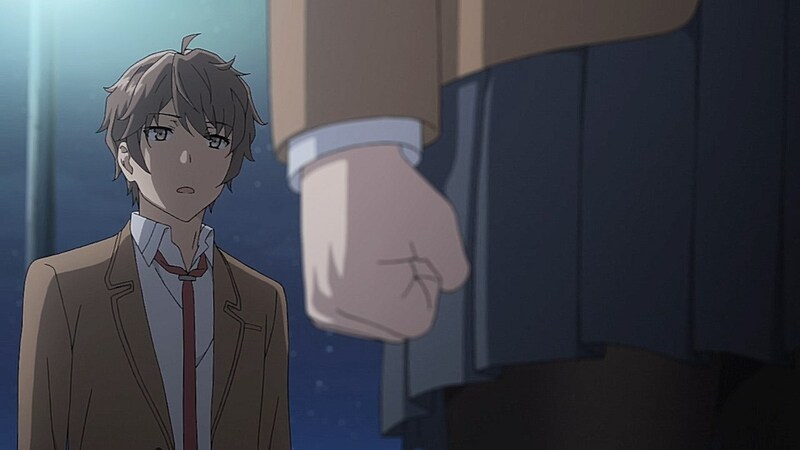 I can only renew my recommendation to read the manga up to the point of the anime (chapter 18) for extra nuggets of Sakuta/Mai gold (which had to be omitted due to the extreme speed of the story progression). 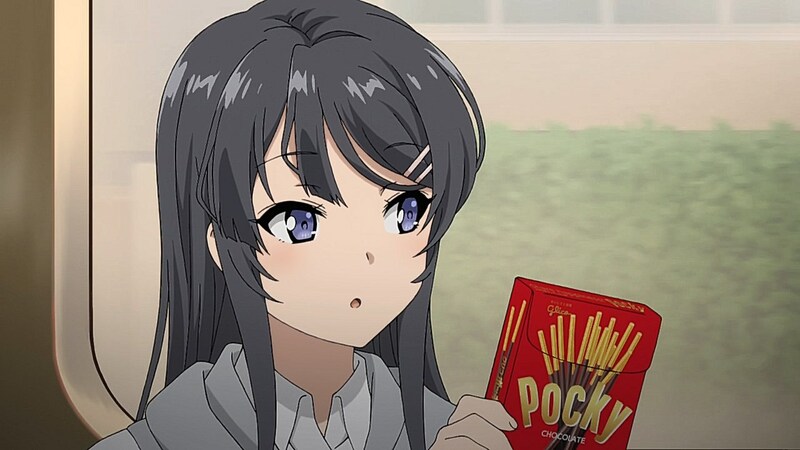 Highlights include Sakuta guilt-tripping Mai into caressing his cheek (extra adorable), Sakuta successfully applying reverse psychology to cop a feel before outsmarting himself, Mai using “angelical smile” to purchase Pocky for punishment purposes. All this stuff is fantastic, and it is a shame that so much of it is left out. 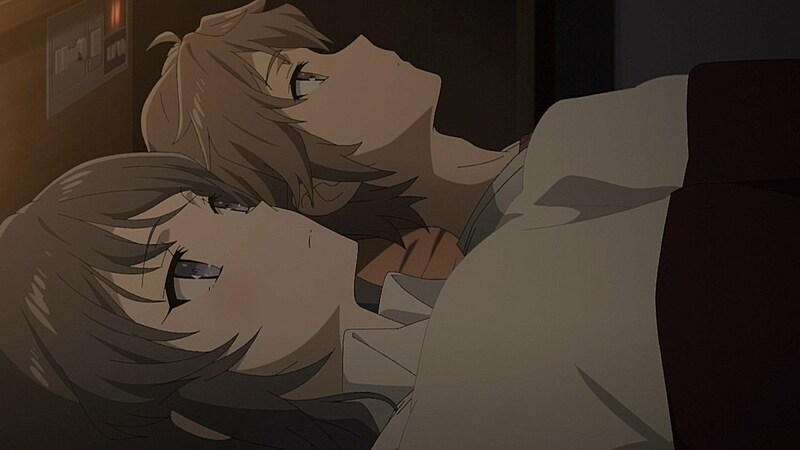 What is making the Sakuta/Mai pairing so appealing to me is how _balanced_ it is. Both have their moments messing with each other. 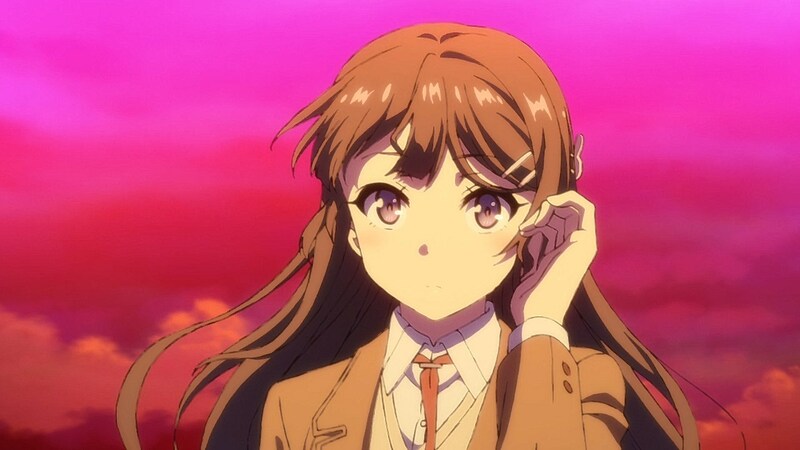 When you compare this with for example Bakemonogatari, where Senjogahara one-sidedly overpowers Araragi in a constant barrage, this is quite an interesting change. 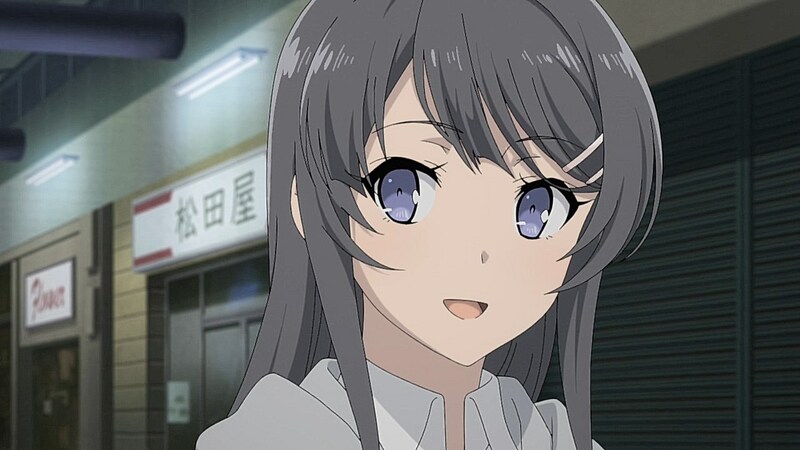 Ah, the main girl of Seishun Buta Yaro wa Petit Devil Kouhai no Yume wo Minai (the older girl, not the loli). 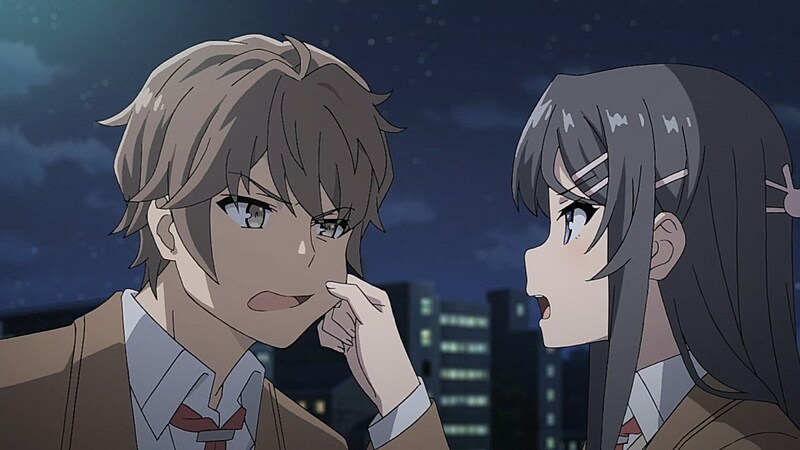 Interesting that they inserted that scene while Mai’s arc is ongoing. 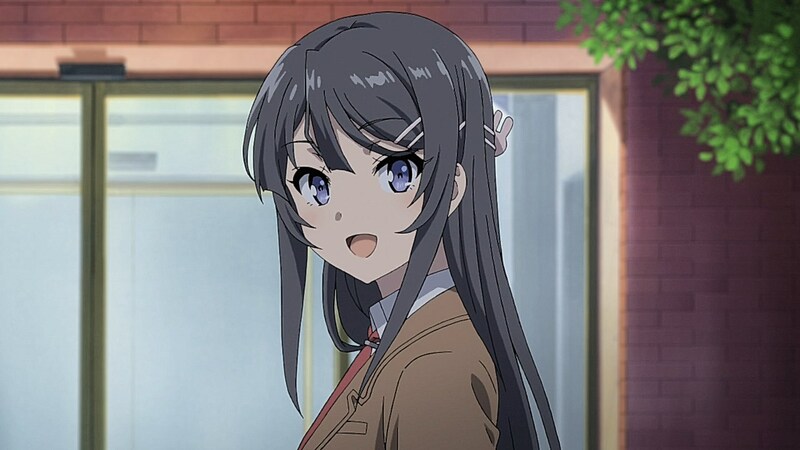 I have a feeling that might be what happened (or something similar) with Shoko Makinohara given Sakuta mentions never finding any records of her at their school, but he and other students still know her name and such. Did anyone notice the title of the next episode from the preview? 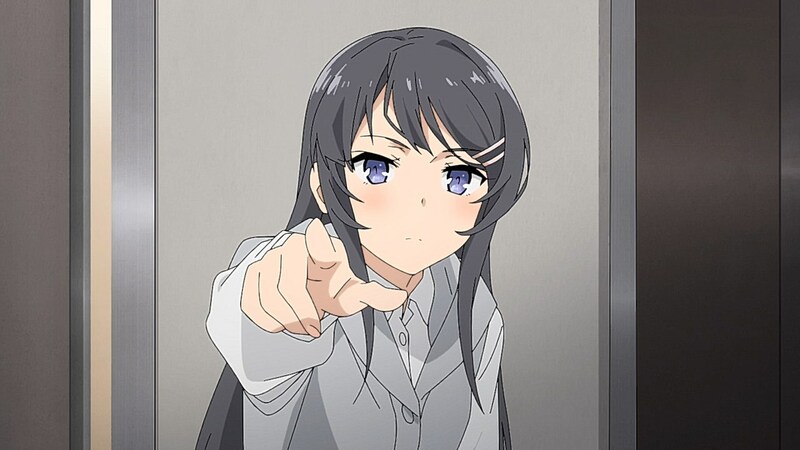 “Kimi dake ga inai Sekai”. I’m sure that’s a reference to “Boku dake ga inai Machi”, otherwise known as Erased. 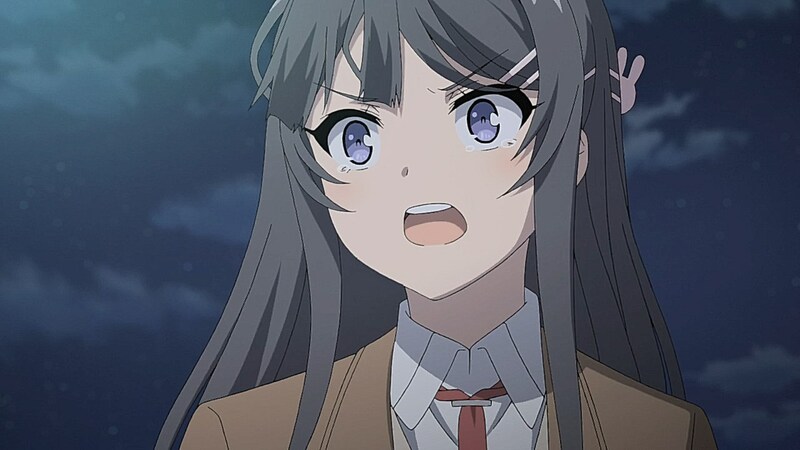 So far it seems the Puberty Symdrome manifest the inner turmoil of a person, Mai’s fear of being forgotten after she quited as actress, Sakuta’s little sister manifested all those cuts and bruses because that’s what the cyber bullyng did to her on the inside. 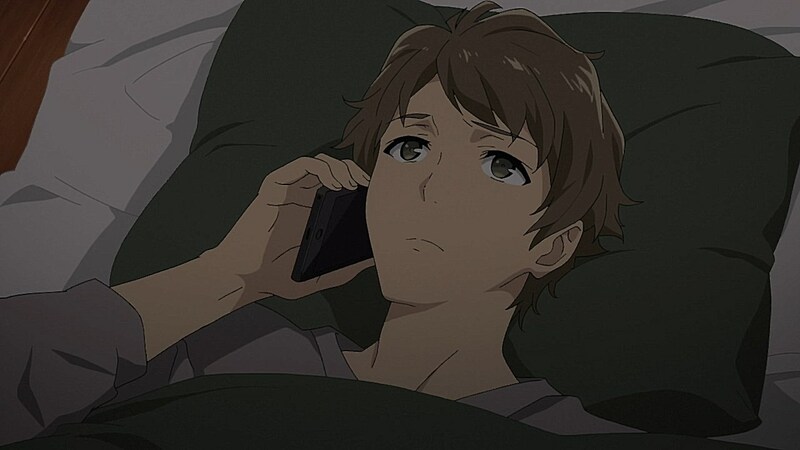 But what truly puzzles me is what the hell is up with Sakuta’s scar, what kind of trauma does he have to be manifested that way?. This comic is very interesting and interesting, with many interesting details, the character is very beautiful. 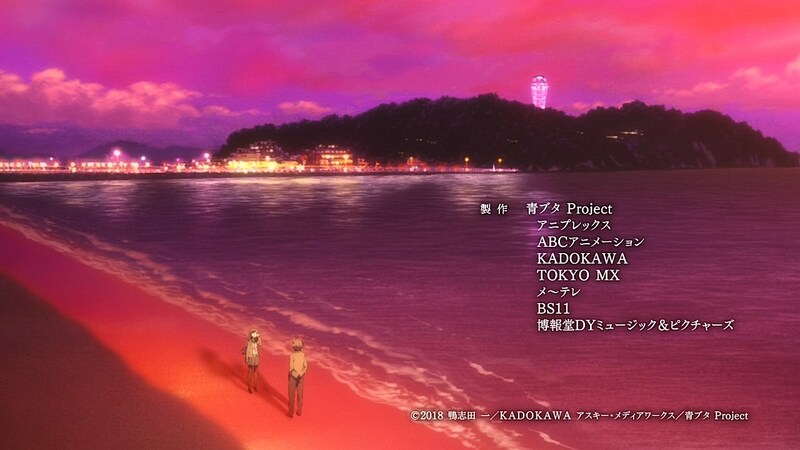 Seems to be some buzz about this anime so I watched. Everything feels calm, cool and deadpan. The pace is fast and its the 20th already. 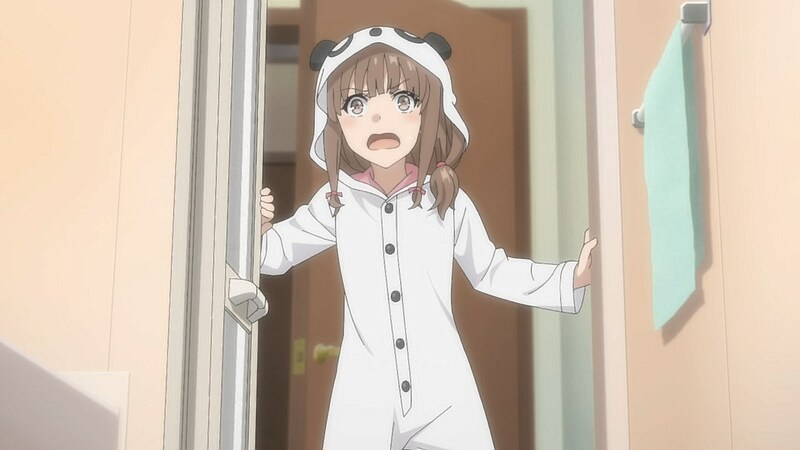 The mystery of the puberty syndrome ver Mai, very intriguing.